Now you can cook your very own KFC chicken at home. COLONEL Sanders is finally revealing his secrets behind the world's most beloved fried chicken, but only a special few will learn how to cook it for themselves at home. 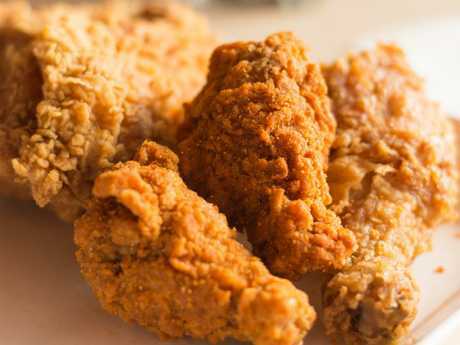 KFC is hosting cooking classes across the UK for 3000 lucky customers next week who've all won the opportunity go behind the counter and learn the trick to mastering the delicious fried chicken for themselves. Unfortunately, fans won't be taught the secret blend of 11 herbs and spices - but they will learn the steps that go into creating their burgers as well as crispy on-the-bone pieces of fried chicken. Make your own KFC chicken at home in a couple of simple steps. 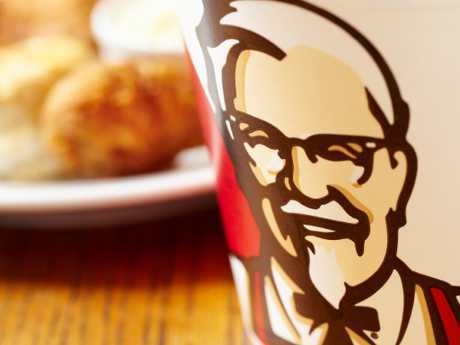 A KFC chef begins with a combination of raw, on-the-bone chicken thighs, drumsticks and wings. The chicken chain also uses rib and keel pieces in its famous buckets, but these are harder to come by in supermarkets. It is possible to source these cuts through a local butcher, or they can be found in a whole chicken with a bit of elbow grease. The Colonel’s recipe has finally been revealed. While four to six pieces of chicken per person should do the trick in a home kitchen, the famous fast-food chain fries up to 2000 pieces of chicken, per restaurant, every day. KFC also washes its chicken pieces before coating them to avoid contaminating their industrial kitchens from the spread of bacteria. However, its not necessary to wash these pieces at home. 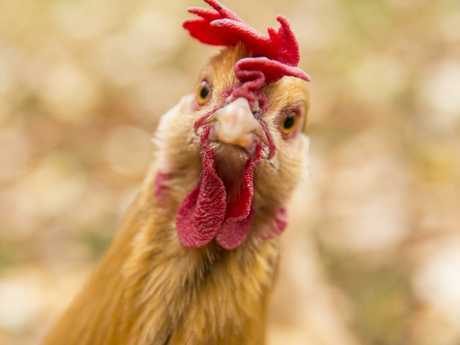 Up to 2000 pieces of chicken are fried up in every restaurant, every day. Unfortunately, the Colonel's secret herbs and spices mix won't be divulged to the 3000 novice cooks. Even staff aren't privy to the elusive recipe as it's locked away in an undisclosed vault in the US. 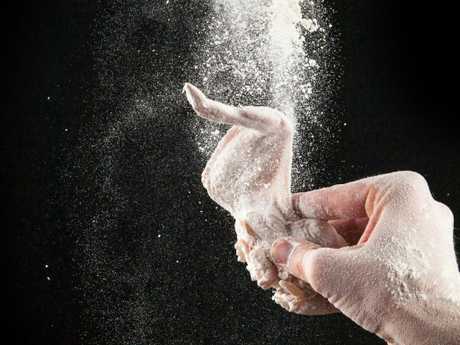 Bags of flour, mixed with KFC's secret herbs and spices recipe, are delivered to the chicken chain's 900 restaurants across the UK, for instance, every day. However KFC fans believe the secret mix was leaked in a recipe several years ago. News.com.au recreated the leaked recipe back in 2016 and was very impressed with the results. 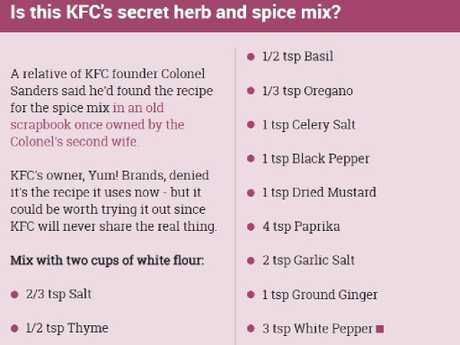 This is the recipe KFC fans believe is the secret spice mix. 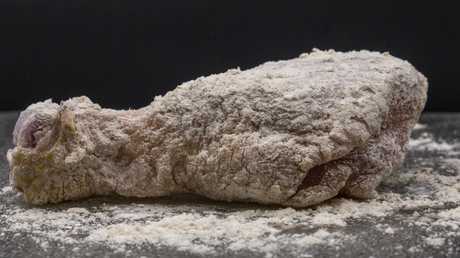 There's a very specific way KFC coats its chicken in the spiced flour. Home cooks can fill a tray or large bowl with plenty of flour and the spice mix above. Then, toss the pieces of raw chicken through the flour mix. Scoop the flour underneath the raw chicken pieces and then fold it over the chicken so it's covered. Then, press firmly on the chicken pieces with both hands, palms facing down. This ensures the flour sticks to the chicken. Start taking the chicken pieces out, two at a time. Toss the pieces in the flour and spice mix and double coat drumsticks. Every piece of chicken that comes out of the flour and spice mix must be given a gentle shake to get rid of the excess. Then, tap the two chicken pieces together, but don't let the meat touch. Instead, knock your thumbs together. Thigh and wing pieces can then be placed on a clean tray, ready for frying. 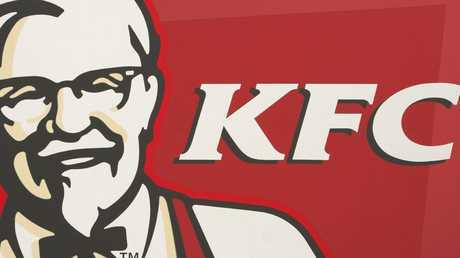 Drumsticks must be double coated, and KFC has a secret tip for making sure the skin is extra crispy. Hold them at the base of the drumstick and twist the skin upwards to release any trapped air. 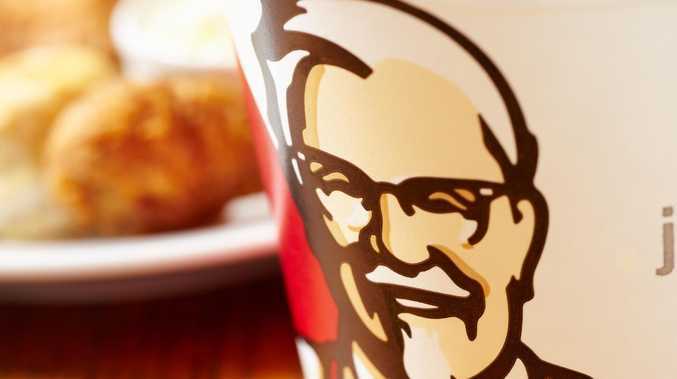 KFC deep fries its chicken for 15 minutes, then drains the oil off for another five minutes - so 20 minutes in total. If you don't have a deep fat fryer, then heat up plenty of oil in a large saucepan and do it that way - though be careful of burns. 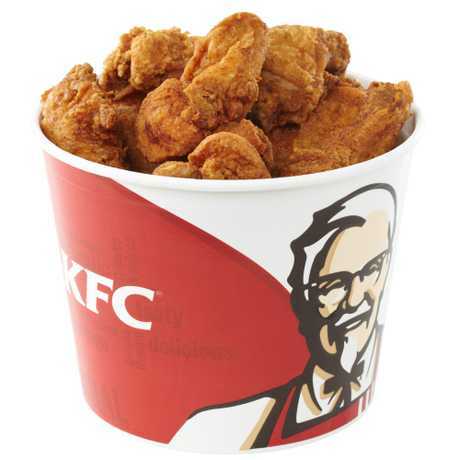 All you need is a KFC bucket to put your homemade fried chicken in. You'll then have KFC-style chicken that you've made in your own home. Delicious.